Book sales will begin at 4:00 p.m. Books purchased will include a signed bookplate. There will no longer be a Q&A; only a photo op. In order to join the photo line, you must purchase a copy of the book at the Free Library on the evening of the event. I’m accidentally obsessed with professional wrestling, yet will purposefully point the finger of blame at the Free Library. Here’s how it happened: One evening after work my husband popped over to our neighborhood Free Library location and picked up a DVD. Turns out it was a WWE compilation, which he promptly popped in, reliving the glory days of his childhood and admitting he’d been watching wrestling behind my back in the many years since. My initial skepticism quickly morphed into a lot of questions—about the characters, the storylines, and the crazy moves—that further morphed into the obsession I find myself dealing with today. What can I say? I just love watching people slam other people off those ropes! Whoops? 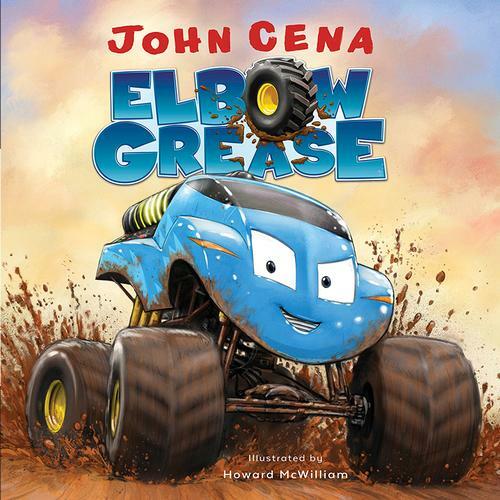 So suffice it to say, I totally lost my cool when I heard that John Cena—wrestling royalty if there is such a thing—was visiting the Free Library on Friday, October 12 to talk about his first children’s book, Elbow Grease. It seems things have come full circle. But the connection between piledrivers, spears, the five-knuckle-shuffle, and the Free Library isn’t just limited to DVDs and a special visit. 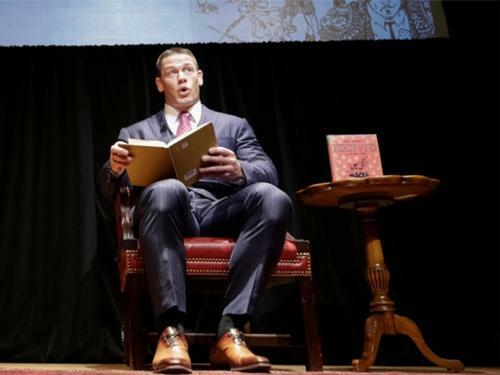 Believe it or not, the connection between Cena—one of the most popular and celebrated professional wrestlers of all time—and the Free Library extends to our Children’s Literature Research Collection (CLRC). One of the Free Library’s unique special collections, the CLRC presents workshops, critique groups, and story hours that promote the works of local and debut illustrators and authors, a prestigious group Cena is poised to join with the debut of Elbow Grease. What’s more, the CLRC preserves and archives material that highlights the changes in children’s literature throughout history, recording the morals, attitudes, and ideas being taught to our youngest readers over time. The CLRC’s Historical Collection even has a subcategory of "celebrity authors" because these are the voices that many caregivers go to for moral and social guidance. 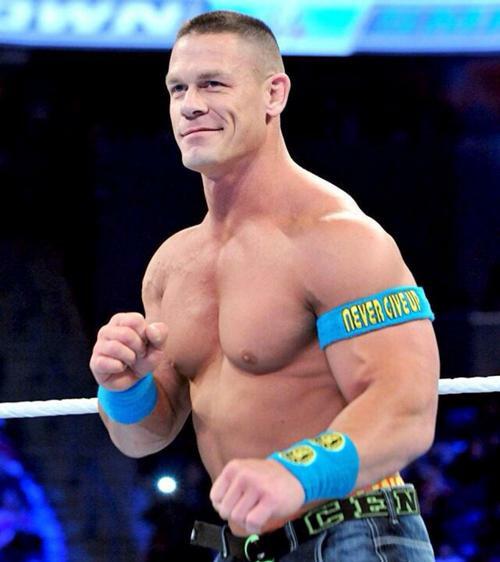 And that’s what makes us all so excited to welcome Cena to the Free Library for the first time this fall. It’s a perfect "match"! So pop on your best wrestling gear and head to Parkway Central Library on Friday, October 12 at 6:00 p.m. to celebrate Cena’s foray into children’s literature—and hear from the man himself about his inspirational career, from Attitude Adjustments to Elbow Grease. You better believe I’ll be there! Hi, I'm hoping you'll find time to write. I'm interested in bringing my nephew to this event to purchase a book and to get a pic with John Cena. Before I take off work I was hoping to get details in regards to this event. I did call but only got an answering machine. Please lmk if he'll definitely be able to get a photo with John and also be able to purchase his book. Thank you. @Chris Lopez - I was reading the calender of events, and it does say that anyone that purchases the book at the event on Friday will have the ability to have their picture taken with him. The signing in NYC tonight required you to purchase the book ahead of time (9am) and get a wristband. Since I was unable to go, I lost out on the opportunity. Does anyone know if you need to purchase the book in advance? I plan on coming to Philly. I, too, tried calling but only got an answering machine. About how many books will be going on sale? My friends and I have quite a bit of a drive to go and I don't want to get there and have all the books sold out. I guess I'm more a fan of reading and children, than wrestling. This event was such a disappointment! I took my nephew there. We spent over an hour in line to basically purchase a book and have a 10 sec photo op. John Cena did not READ or DISCUSS the book, Attitide, his career ... or ANYTHING!! For me it was an uninspiring money making gimmick (and, considering the man is reportedly worth more than 55 million, I guess we did get a bargain in only having to pay 20.00 for the book and not admission ). However, given that he has such wealth, one would think that he'd give back a little something to the children! What an awesome day! There were many, many people there, but John took the time to greet and shake hands with each of us before we had our picture taken. He was very pleasant and personable, taking the time to chat quickly with fans while being considerate of those who were waiting. He even autographed a kid's hat, although there were signs clearly stating that he wouldn't be autographing anything other than the book. My son, grandson and I waited for a couple of hours, but it was well worth it to see John...and my grandson LOVES the book!! !